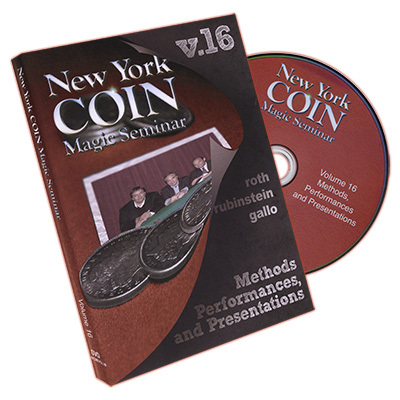 The New York Coin guys, David ROTH, Dr. Michael RUBINSTEIN, and Mike GALLO, are back with a vengeance, with their latest set of DVD's!! Volumes, 14, 15, and 16, subtitled Methods, Performances, and Presentations, each contain 2 hours of the same, hard hitting, cutting edge coin magic, that have defined their prior offerings. Joining them in this venture are special guests Bob Fitch, Doug Brewer, and Jean Emmanuel Franzis, with contributions from Dan Watkins, Bill Citino, and guest host, Marc DeSouza. Volume 14 sets the tone with thirteen jaw dropping coin routines. Dr. Michael Rubinstein showcases three routines that illustrate the use of the ever popular slide move. Sliding Wild Coin is a production, change and vanish, that will make you look like a sleight of hand master, but without the difficulty! Twilight Zone Wild Coin takes Rubinstein's classic patter and adapts it to a standup, walk around handling of this classic effect. The Blank Coin Routine combines ideas of Roth and Rubinstein for a very magical effect where the images of three different coins appear and vanish from the faces of blank coins! Mike Gallo also releases some of his pet effects from his vast repetoire. 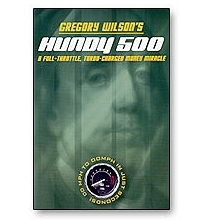 Triple Penetration is a coins through the hand routine, with audience involvement. His Coins Across is an entertaining version where three silver coins join three chinese coins, the last one appearing in the hands of a spectator. O-Kort-O Box is a new coin box routine, with a "solid" ending! David Roth performs and explains Purse Frame Production, using classic Roth technique. In Leipzig Coins to Glass , a signed coin finds its way into a glass covered by a deck of cards and a silk. Rounding out the trick section are contributions from Doug Brewer, Bill Citino, and Jean Emmanuel Franzis, with Bob Fitch finishing by teaching two of his favorite coin moves. Volume 15 picks up where Volume 14 leaves off, jam packed with seventeen incredible coin routines! Dr. Michael Rubinstein's Voodoo Revelation starts off as a card trick, but the voodoo coins steal the show! Copper Silver Brass Coins Across, uses three different ungaffed coins, with the last coin appearing in the spectator's hand. Matchbox Treasury Redux is an update of a routine that appeared on the cover of Apocalypse over 20 years ago. Mike Gallo performs and explains Psychological Coins To Glass, and his King Midas is a triple wild coin routine with a "golden" ending. With Oil and Water, Gallo adapts the classic card plot to coins. 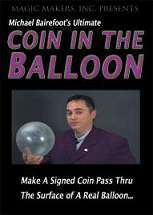 David Roth shows how to produce coins from a hankerchief and two seemingly empty hands. Doug Brewer uses the coin cup for two powerful routines, The Red Planet, and The Magic Cauldron. Dan Watkins offers an updated handling of his Penetrating Okito and Beyond. Rounding ot the section are two more offerings from Jean Emmanuel Franzis, and a classic effect of Bob Fitch, the Wallet, the Coin, and the Spectator. 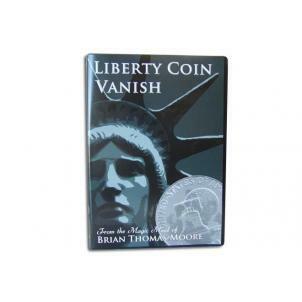 The bonus section is loaded with material from the last coin seminar. Bob Fitch performs one of his signature routines, The Bag. Dr. Michael Rubinstein teaches some more useful coin moves, and Mike Gallo adds FOUR more routines to finish this section. Volume 16 is the perfect closure to the three volume set, with fifteen additional wonderful coin routines. In Dr. Michael Rubinstein's Bent Coin Routine, not one, but two coins are bent by brute strength, one belonging to the spectator. Oil and Water is Rubinstein's take on the classic card plot, adapted to coins. Nest of Boxes is an update on a routine taught on an earlier DVD, where the loads occur right under the noses of your spectator. Mike Gallo offers a mysterious transpostion of a chinese and silver coin in Dragon Coin Part Two. Two Copper Silver contains some eye popping changes not found in other routines There are additional selections by Marc DeSouza, Bob Fitch, and Doug Brewer, and a novel approach to the Cylinder and Coins by Jean Emmanuel Franzis. The Highlight of this DVD, though, is David Roth's Asian Act, performed and explained. This was only seen once before, at the New York Magic Symposium in Tokyo, back in the Eighties. After seeing The Reflection, the Chopstick, and The Kite, you will believe in defying gravity! 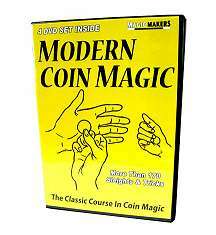 Rounding out this DVD is a HUGE bonus section, taken from the latest coin seminar. Bob Fitch performs one of his signature effects, Money Makes the World Go Round. Dr. Michael Rubinstein explains in detail several types of coin loads. Mike Gallo teaches three more eye popping routines. David Roth performs a NEW coin trick, the Record. Bob Fitch gives another wonderful lecture on Changing Focus and Space, a perfect closure to the three volume set.